Nintendo, the gaming giant released its first mobile app game on March 31st and so far it’s been a huge success. Within just eight hours of the apps release it reached number one spot in the US iTunes Store, according to the app store optimisation company Sensor Tower. The app offers users the ability to create unique Mii characters and share answers to questions about themselves to friends. After just 5 days from the games release, iPhone and iPad users had collectively downloaded the app 1.58 million times in the US. According to Sensor Tower, between March 31 and April 3, the US had the most downloads of Miitomo compared to any other country. 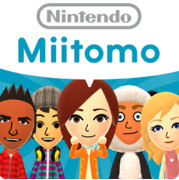 Miitomo has also seen great success throughout Japan after its release there in March. Nintendo reported that the app saw over 1 million downloads in Japan in just three days. 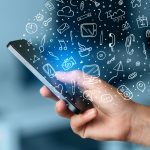 Similar Web, a digital market intelligence company showed data that revealed that app was installed by 0.62 percent of Android users in the US by the 3rd of April. They also revealed staggering loyalty rates and on average, a user would spend approximately 36 minutes and 28 seconds in the app daily. In Japan, users that had installed the app before April 5th spent more than 22 minutes a day within the app. Miitomo is available for a free download from the iTunes App Store and Google Play.